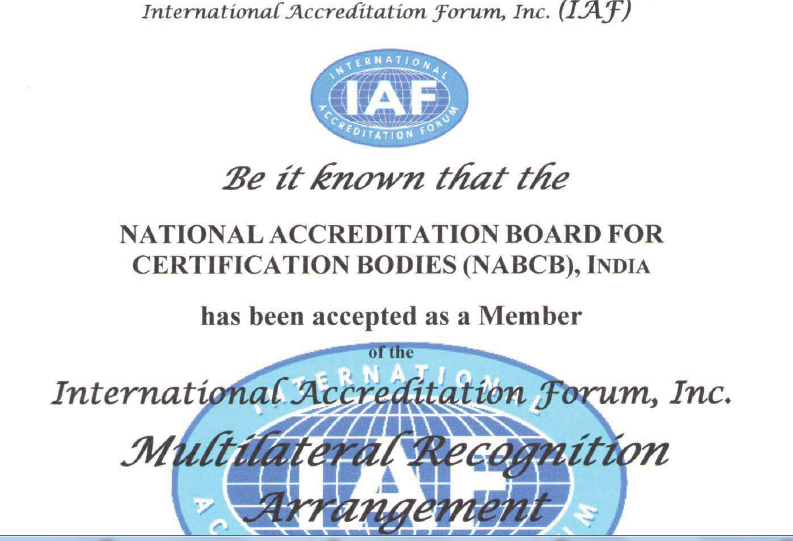 The National Accreditation Board for Certification Bodies provides accreditation to Certification and Inspection Bodies based on assessment of their competence as per the Board's criteria and in accordance with International Standards and Guidelines. 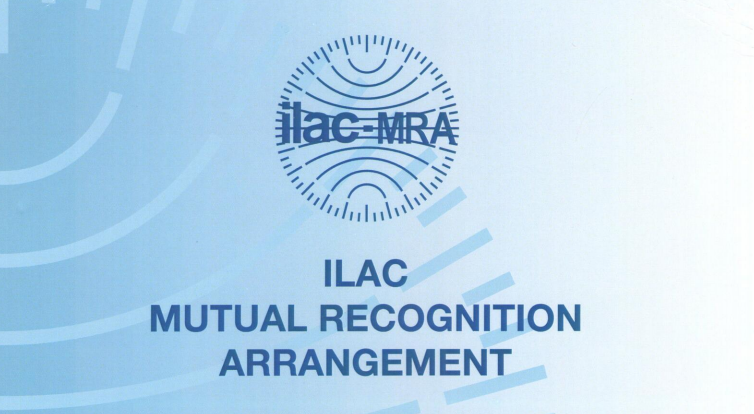 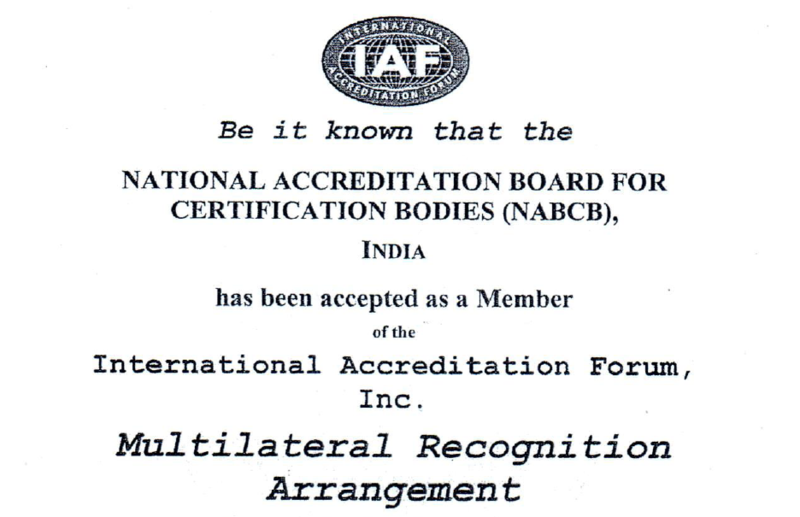 NABCB is internationally recognized and represents the interests of the Indian industry at international forums through membership and active participation with the objective of becoming a signatory to international Multilateral / Mutual Recognition Arrangements (MLA / MRA). 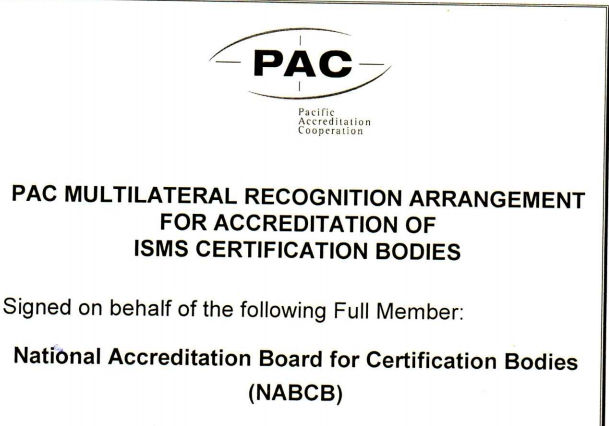 NABCB is a member of International Accreditation Forum (IAF) & International Laboratory Accreditation Cooperation (ILAC) & & Asia Pacific Accreditation Cooperation (APAC) as well as signatory to its MRAs for Quality Management Systems, Environmental Management Systems, Product Certification. 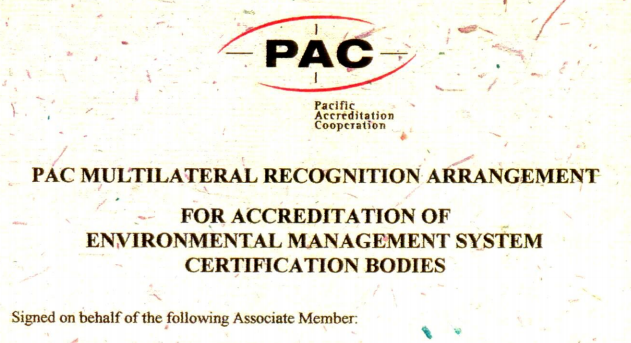 GlobalG.A.P., Food Safety Management Systems, Information Security Management Systems, Energy Management Systems, Inspection. 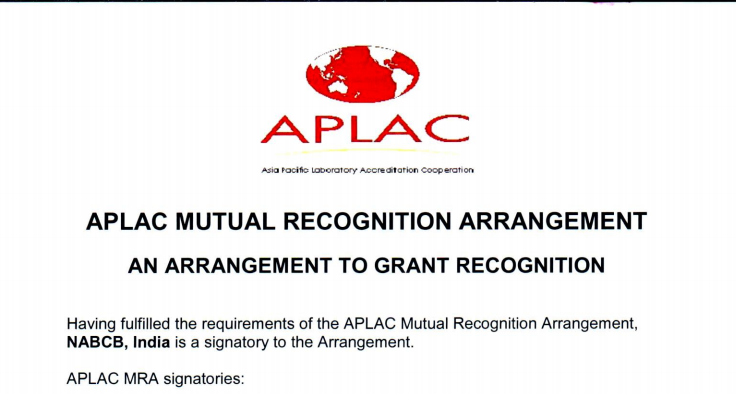 NABCB is also MRA signatory of Asia Pacific Accreditation Cooperation (APAC) for Occupational Health Safety Management Systems.